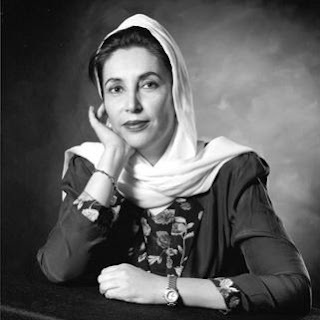 In case you've just arrived from another galaxy, Pakistan's former Prime Minister (twice) Benazir Bhutto was assassinated a few days ago. There has been 24 hour coverage on PTV, Pakistan's official public broadcaster. Most of it has been in Urdu, but there has also been some excellent commentary in English. You can also check out the PTV's world news website (which also has webcasting) here. There are other private news channels in Pakistan, a full list of which can be found here. South Asia expert author and historian William Dalrymple has written an excellent analysis and critique of Ms Bhutto in The Observer here. Tariq Ali also wrote a rather irreverent piece (before the assassination) in the London Review of Books which can be found here. Professor Amin Saikal of ANU provides a thorough political analysis of events here, both as they might play out in Pakistan and the wider region. Perhaps the best source of English language news from on the ground in Pakistan can be found at the Daily Times. A regular writer for the Daily Times is lawyer Rafia Zakaria. She also is an associate editor of AltMuslim.com, and has published a regular Karachi Diary, the first instalment of which can be found here. Shahed Amanullah, one of the big wigs at AltMuslim.com, asks some difficult questions in a short piece for Beliefnet. He also reminds us that Pushtun history is not just one violent monolith. Last and certainly least are two analyses by yours truly, one in the New Zealand Herald and the other in The Age published in Melbourne.